Indonesia's director general of air transportation announced Sunday that wreckage of the missing Trigana Air Service plane had been found in the Bintang highlands region of Oksibil, where it was supposed to land, according to CNN. The domestic flight lost contact with air traffic control 33 minutes into its 42-minute journey, and there were 54 people on board. What happened to the missing Indonesia plane? Officials speculate it was brought down by unpredictable weather over the Papua region's mountainous area. 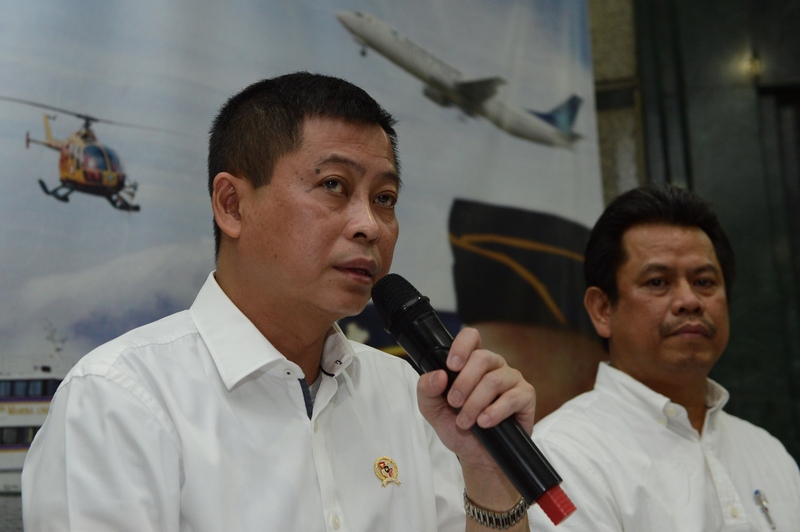 Suprasetyo, the country's director general of air transportation, said that villagers near where the plane's wreckage was found reported seeing a low-flying plane crash into Tangok mountain, according to Reuters. There is no immediate information on whether anyone survived. Officials haven't yet confirmed that weather was the cause of the crash, but Trigana Air director of operations Beni Sumaryanto said the airline "strongly suspects" that weather brought the plane down, according to BBC News. He told the AFP news agency that the Oksibil mountainous region "can suddenly turn foggy, dark and windy without warning." Transportation Ministry spokesman J.A. Barata told CNN that there was no indication that the plane made a distress call, but CNN aviation analyst Mary Schiavo said the lack of a call doesn't mean the plane wasn't in distress. She said it could meant that the crew was too busy dealing with a problem to send a call, or that they didn't realize they were in trouble until it was too late. I can't think of an accident where weather was the sole cause of the problem. But there can be a situation where the weather puts the aircraft at a higher risk of going wrong. She also said that very powerful storms can damage the wings of a small aircraft, but that pilots and air traffic controllers can avoid them using nose-mounted weather radar technology to detect and steer away from dangerous weather. Further, ownership records of the small plane used for the Trigana Air flight show that it was 27 years old, according to Reuters. The International Business Times noted that airplanes can fly well beyond their 30th birthdays, assuming they have excellent safety records and are still in good shape. Indonesia's aging aircrafts came under fire in July, after a military plane crash left 100 people dead. All but four of Indonesia's airlines are on the European Union's blacklist for banned airlines because of concerns about safety and regulation, according to BBC News. Trigana has had 14 serious incidents since it began operating in 1991, according to the Aviation Safety Network.